Villamarina Restaurant. The Blessed Fanesi! Welcome into the official website of Villa Marina. The next pages are designed to present our place without leaving aside our crew of people and the beautiful town of Fano, a unique background. If you know Fano you also know that Villa Marina is directly part of it: our restaurant is not only a place to eat, it's a place where friends meet and enjoy their time while experiencing the traditions of the local fish and meat food. Some pictures of our dishes and our local. The fish prepared in the traditional, "Fano" way! Our restaurant, after being known as Mike & Fior for many years, has recently been renovated, starting from its own name. However, its core hasn't changed at all from the past: our families as the heart of the restaurant, the kitchen crew, the experienced waiters, and, most of all, the traditional way of cooking... those elements are our values and they haven't changed. 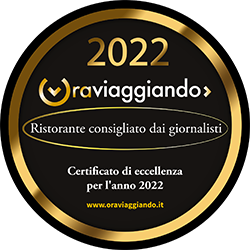 The name "Villa Marina" and the communication project around it have been reviewed only to make our long-standing customers more confortable in the new environment... this is our way to thank our amazing clients who strongly value our service and have the highest expectations in terms of food. "The fish and the pizza in the traditional, 'Fano' way" is thus an emblematic sentence itself: it suggests how high are the customers' expectations when it comes to local food and local restaurants. The two basic, simple rules are the following: fresh fish and the traditional knowledge inherited from the local housewives, necessary to deliver the real local food experience. Archive of the news and our events.